Reading this is like sitting in the titular speedboat and skidding across the surface of a range of novels in various styles. I did not know exactly what to expect going in so was thoroughly disoriented at first. Once I relaxed and just let the thing happen to me it became enjoyable, up to a point. Some of the vignettes are incredibly funny, particularly if your sense of humor leans towards the absurd, DFW territory. But ultimately I was left unsatisfied because despite trying hard I could not extract some kind of coherent experience from this. 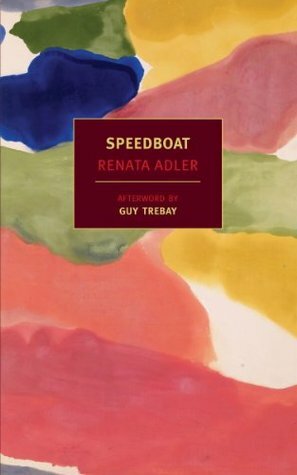 Sign into Goodreads to see if any of your friends have read Speedboat.